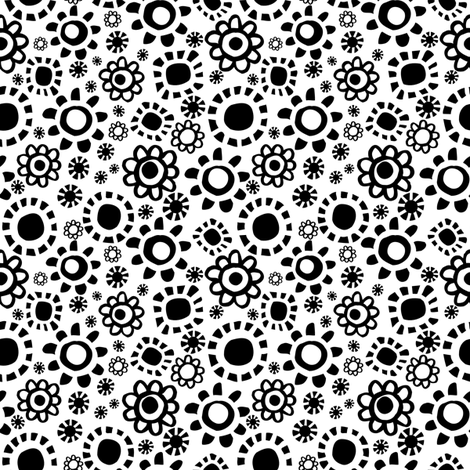 Collection of monochromatic folk flowers fabrics that work in pairs: a 'positive' and 'negative' version for each colour combination. Suitable for quilting/patchwork but also clothes making, upholstery, bed linen, arts and crafts, and any sewing project. 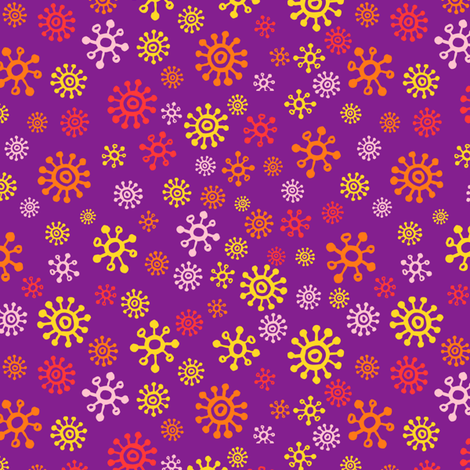 Orderly calico pattern of delightful and colourful little flowers by Cheerful Madness!! available on fabrics at Spoonflower. Click the images below to access the respective fabric. The all collection is visible here Calico Coco fabrics collection by Cheerful Madness!! at Spoonflower. Recommended for quilting/patchwork, clothes making (a shirt or a dress, etc), arts and crafts and any sewing project. If you need the size of the pattern to be scaled up or down, get in touch and I will make it available for you. Myriads of star-like flowers forming a floral galaxy. Suits quilting/patchwork project but can also make nice shirts or dresses or any sewing project. 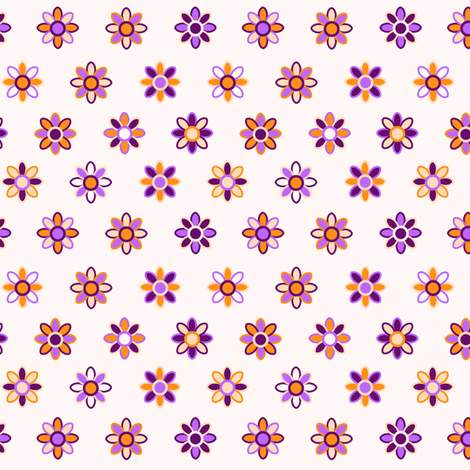 A folk art pattern of fantasy flowers, inspired by dandelions, in different colour combination. Click each image below to access the respective fabric. Access the all collection through the following link: Fantasy Dandelions Calico by Cheerful Madness!! at Spoonflower. Recommended for any sewing project, quilting/patchwork, a dress or shirt or, for use in home decorating and general arts&crafts.